The smartest system for clever mobility. 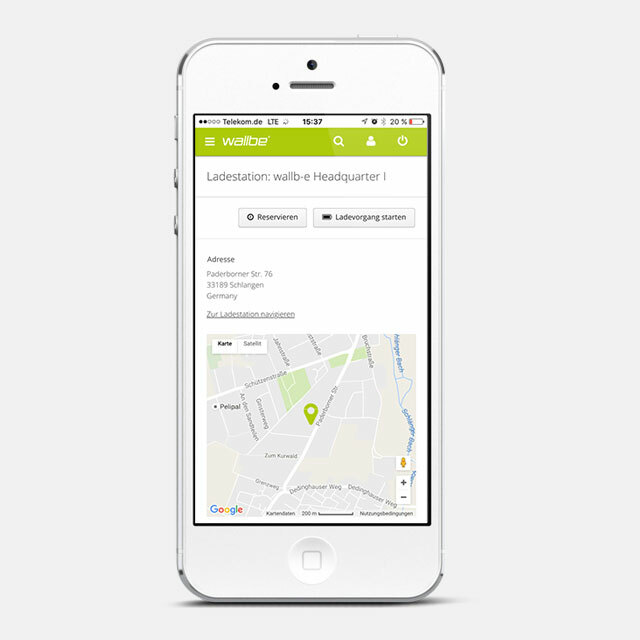 Use the wallbe Cloud online portal to control and monitor your charging stations. The system is also suitable for user administration, so it can be used for a wide range of different applications and business models. 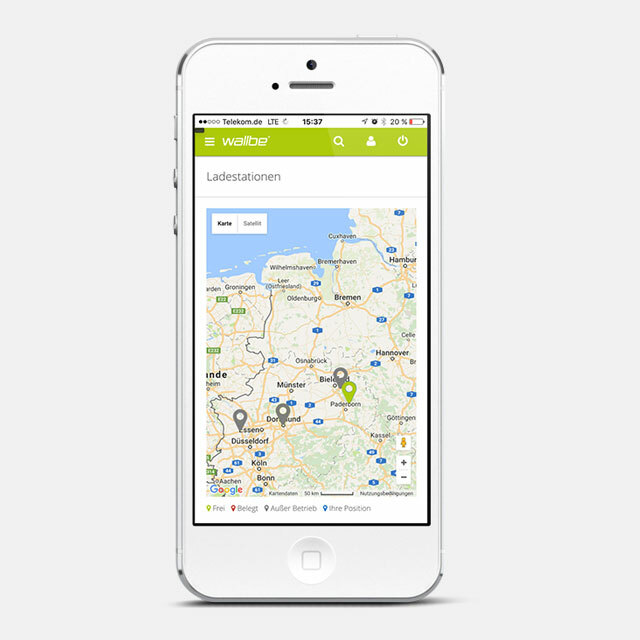 A smartphone app informs users about the respective locations of the connected charging stations and offers particularly convenient control of the charging process. The wallbe Cloud is an extremely versatile solution for the administration of charging stations and centralised control of the charging network. The system enables operators to control and monitor their charging network. Easy-to-read dashboards display a wide range of information on the current status of each individual charging point. In the event of a malfunction, an alert message is sent to the operator immediately. Real-time data helps to identify where maintenance work will soon be necessary, thus safeguarding availability of the various charging stations. The wallbe Cloud is the central data registry for all your charging stations, and enables you to settle charging accounts via PlugSurfing or directly, for example with your employer. Every charging process at a connected charging station is thoroughly documented in the wallbe Cloud; this includes not only charging time and duration, but also the actual amount consumed. In the system, a price can be assigned to this consumption so that users already have a full overview of costs while they are charging. In conjunction with authorisation systems and user management, operators can directly assign every charging process to a specific user and issue an invoice accordingly. Users with charging entitlement are registered in the wallbe Cloud User Management. With the help of the smartphone app, they may then use the charging post and charging service specified for them in the system in advance. The user management feature is particularly suitable for public areas, company fleets and customer car parks. As well as the basic authorisation function via app, the RFID procedure offers a number of advantages for release management purposes and individual accounting. 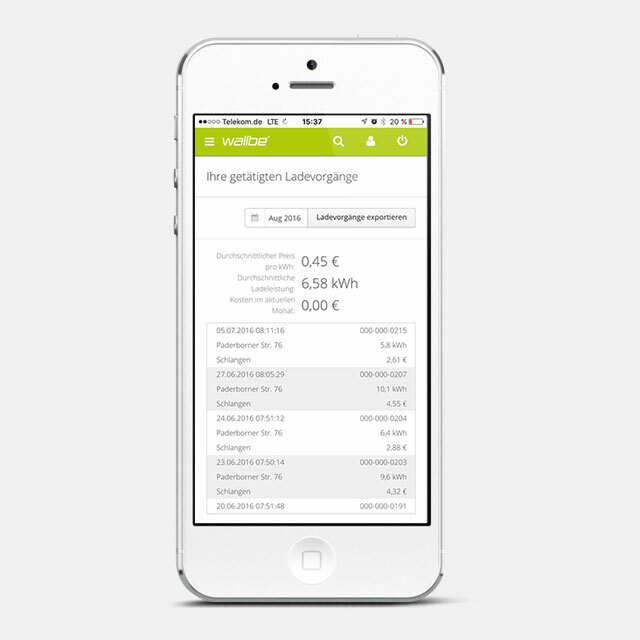 The wallbe web app provides a wide range of functions that make charging more convenient. These include the topping-up of prepaid cards via PayPal or credit card, authorisation and release of charging points, real-time information about the charging process and amount of kWh charged, and the costs incurred. An integrated map showing an overview of all available charging stations is also provided via Google Maps. 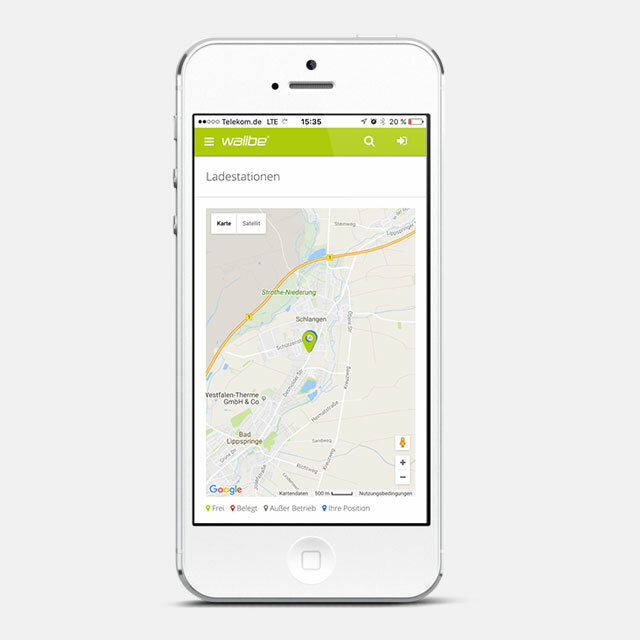 You can use the navigation functions to find directions to the nearest available charging station. A connection via UMTS card is required for integration of the wallbe charging stations in the wallbe Cloud. 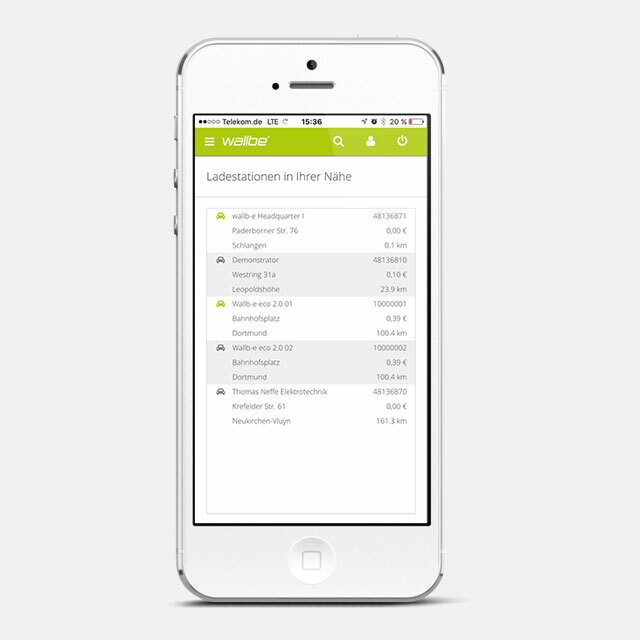 Use of the wallbe Cloud is free of charge, so the only costs that apply are for use of the mobile phone network. Customers who wish to use PlugSurfing accounting services must conclude a separate contract with PlugSurfing.